As we mentioned last month, Kellogg's cereals have codes which can be redeemed for a Monsters University pillowcase. Our pillowcase arrived in the mail even before we had eaten through all of the cereal that we had bought for the codes. 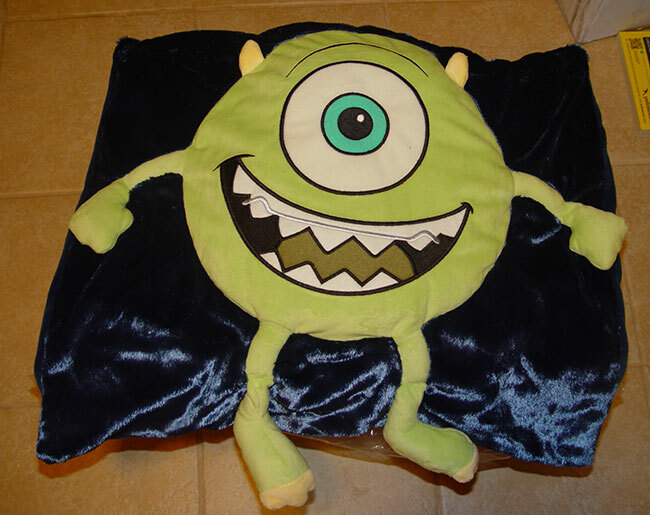 It is a very nice, 3-D plush pillowcase that fits a standard size bed pillow. The picture above shows it unstuffed and unsullied (ha!) by cat hair. The promotion says it runs through December 31, 2013, so you still have lots of time to collect the four codes needed to get the pillowcase. - McDonald's has The Smurfs 2 toys in their Happy Meals, with Justice and Power Rangers MegaForce shown as the next promotions. I've never been much of a Power Rangers fan, but I was floored to see that when you collect all six of the Power Rangers toys, you can connect them to build a MegaZord. 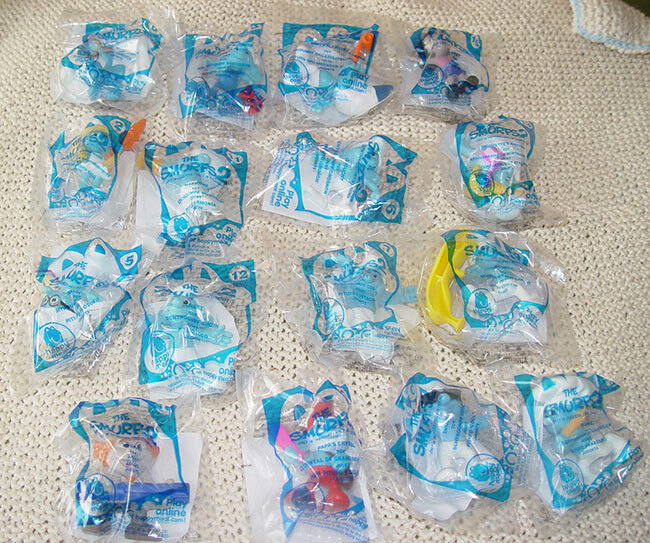 - Burger King has Care Bears and Beyblade toys in their Kids Meals, with (are you sitting down???) The Simpsons toys coming soon. - Sonic has Kidz Bop toys in their Wacky Pack meals. - Subway Kids Meals have Gravity Falls drawstring backpacks. - The Wendy's web site, continues to vex me - I still can't find the toys on the new version of the site. Since last month, I did try the bacon cheeseburger on a pretzel bun, and it was fabulous. Well, fabulous for fast food.